Galicia in northwest Spain is famous for its lush green countryside. Standing in stark contrast to the dry, high plains of central Spain, Galicia’s wooded hills guard a landscape that reminds many visitors of Ireland or the Pacific Northwest, and its thousands of small towns preserve distinct accents, delicious dishes, and centuries-old festivals. Yet today, most Galicians live in cities scattered along the Atlantic coast, a region that the train company Renfe refers to as the eje atlántico. This “Atlantic Axis” stretches from Vigo at the southern edge, through Pontevedra and Santiago de Compostela, and ends on the northern coast at A Coruña and Ferrol. Keep reading to learn what makes these big cities and others tick. 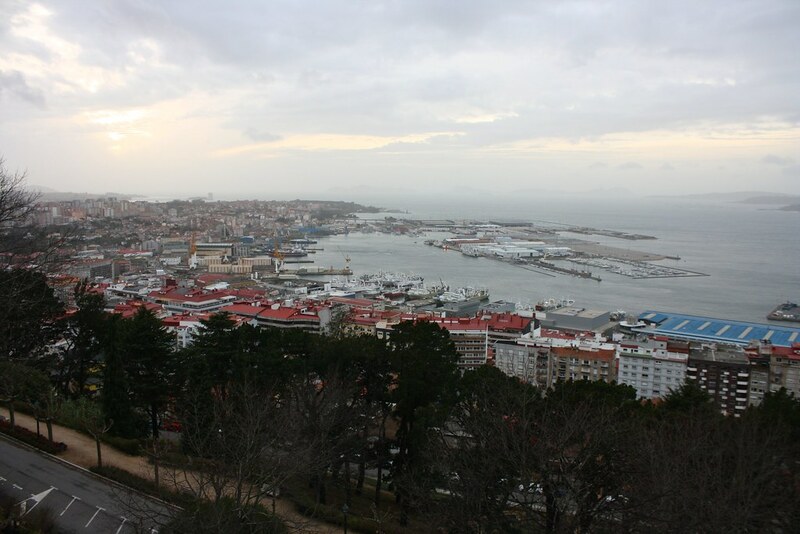 Vigo boasts 292,817 residents, making it Galicia’s most populous city. Strategically situated along the Ría de Vigo, an estuary on Galicia’s southwest Atlantic coast, Vigo has Europe’s second-most important fishing port. Because of this, the fish canning industry is huge here—and the fresh oysters are second to none. Apart from good seafood, there’s not much to draw you to Vigo’s old town, and the newer parts of the city were built so quickly and haphazardly over the last century that they are, in a word, uninspiring. Fortunately, ferries depart multiple times a day for the city’s Cíes Islands, three pristine islands that float out at the mouth of the estuary and offer white-sands beaches and forest hikes. A Coruña is home to 243,978 people, but even though it’s #2 on this list, many coruñeses still feel they’re #1. I’ve been told that they had expected the city to be chosen as the regional capital when the Autonomous Community of Galicia was established in the ‘70s…but were angered when Santiago de Compostela was chosen instead. 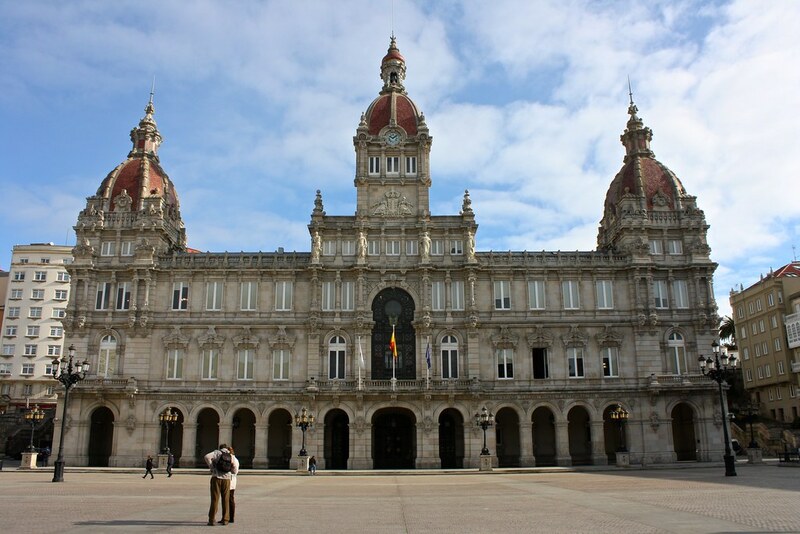 Coruña is nevertheless the provincial capital of the northwest quadrant of the region today. The city has a reputation in the rest of Galicia for being “pijo” or posh—and not without reason. Major corporations are based here, including Abanca (a bank primarily serving Galicia) and Inditex (which owns the brand Zara). 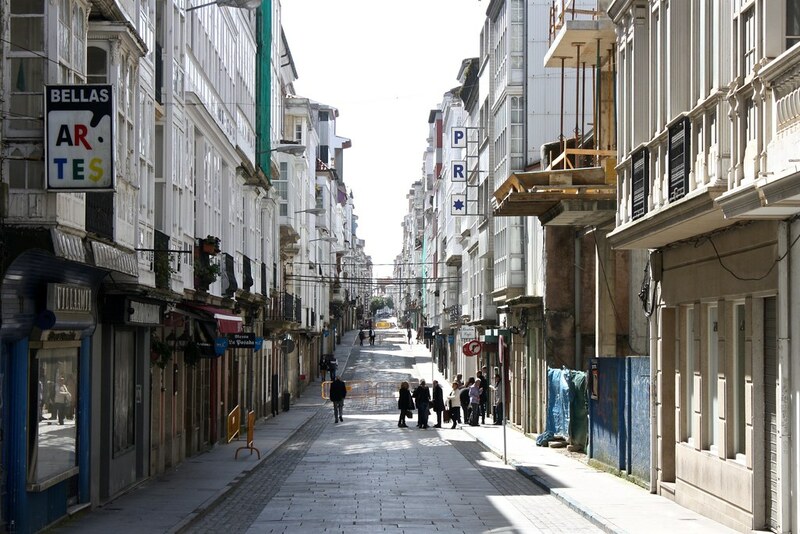 Locals have nicknamed Coruña “the City of Glass” for the wall-to-wall galerías or glassed-in balconies that line major streets and promenades. Come to Coruña for its Atlantic beaches, its museums, and the Tower of Hercules, a lighthouse that has been operating since Roman times. 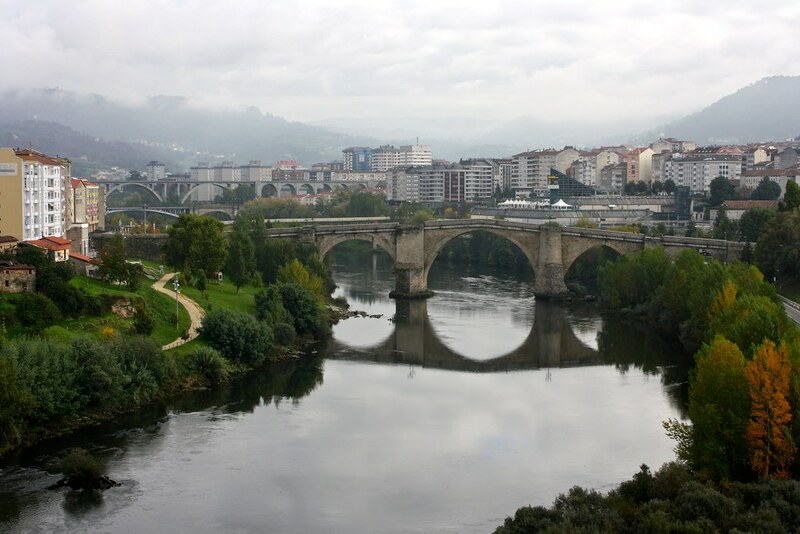 People have been abandoning the rural comarcas or counties in the interior of Galicia for decades in favor of provincial capitals like Ourense (pop. 105,893) where they can find jobs and opportunities. 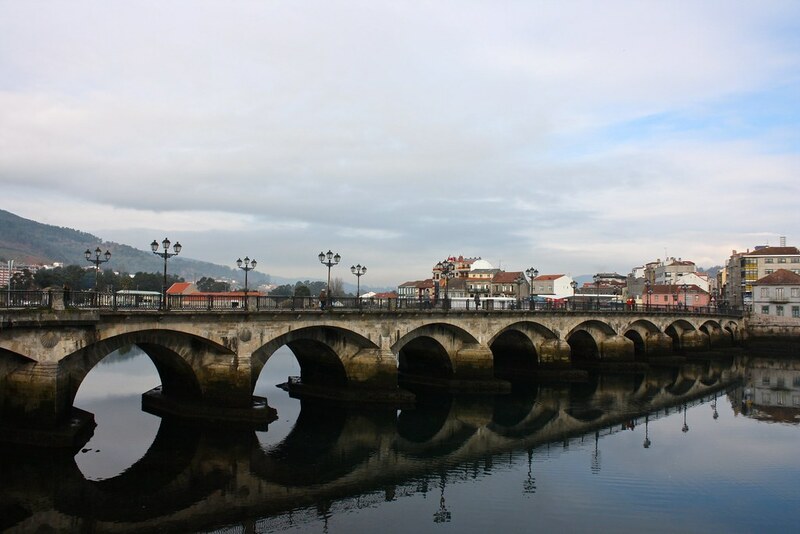 This city sprawls across both banks of the Miño River, which is spanned by several stunning bridges both medieval and contemporary. Mineral hot springs called termas bubble along the riverbanks, and these hot springs draw visitors year-round for relaxation and for health benefits. Ourense’s old town has a cathedral with some really impressive polychrome medieval sculpture. Coming in at just under 100,000 people (98,268 to be precise), Lugo is like Ourense in that it’s drawn residents from the quickly-emptying countryside. 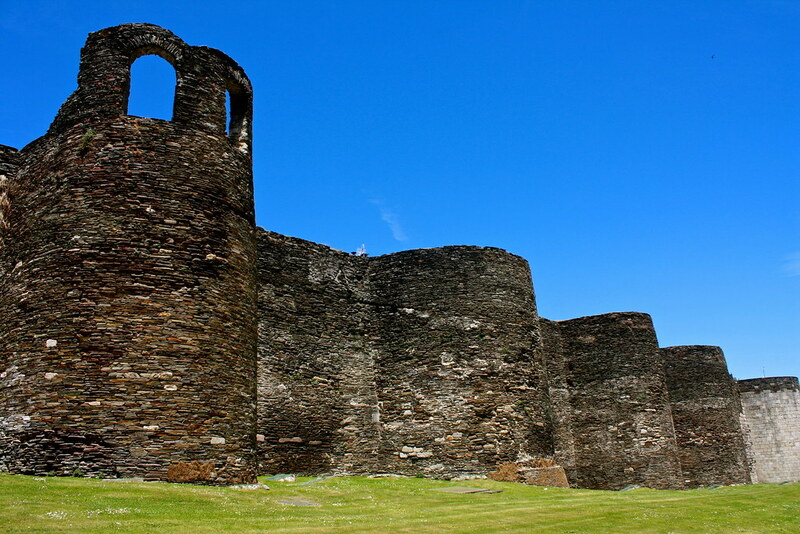 Its main claim to fame is a World Heritage-listed set of Roman city walls; Lugo is the only city in the world whose old town is still completely encircled by its original Roman walls! I only know Lugo as a city of partying, having visited town during its two main festivals: Arde Lucus, held in June, is a Roman-reenactment festival where locals dress up in togas or Celtic villager garb, and San Froilán in October celebrates the town’s patron saint with copious amounts of Galician-style boiled octopus—probably the best in the region. Santiago may be Galicia’s fifth-largest city (at 95,966 people) but lots of folks who live here describe it as a “pueblo” or small town; you’re constantly running into people you know. This city built on a bluff between the Sar and the Sarela rivers functions as the administrative capital of Galicia but also the tourism capital of the region, since it’s the ending point of the Camino de Santiago pilgrimage route. The sprawling cathedral, a hodge-podge of architectural styles, is purported to be the final resting place of the Apostle St. James the Greater (a.k.a. 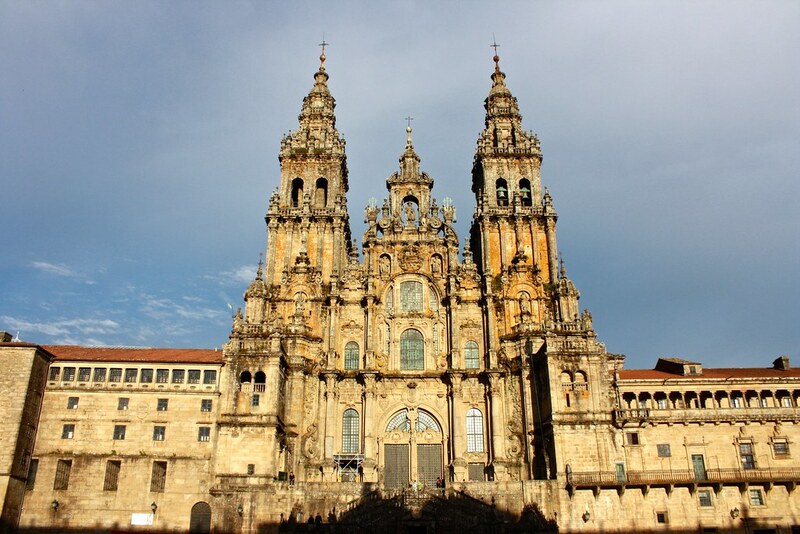 Santiago) and is the third-holiest place in Roman Catholicism after Rome and Jerusalem. Come for the Camino and pilgrim theme, stay for the atmospheric old town, tasty tapas bars, and a plethora of hiking options right outside of town. Pontevedra (pop. 82,549) often gets overlooked among the cities that line the built-up western Atlantic coast from Vigo to Ferrol, but Pontevedra’s a provincial capital and a “boa vila” or a fine place to call home. Its old town reminds me a lot of Santiago’s, between charming granite-paved streets and old churches, but tons of lively plazas make it stand out. Ferrol, at 68,308 residents, straddles the boundary between mid-sized town and something larger, but also blurs the distinction between Galicia and the rest of Spain. Infamous dictator Francisco Franco was born here, it’s historically been a major base for the Spanish Navy, its old town was laid out on an Enlightenment-style grid rather than the messy medieval web of other Galician towns, most people speak Spanish here instead of Galician, and solemn Holy Week processions that aren’t often seen in Galicia are done over-the-top here in Ferrol. What’s your favorite city in Galicia? Have you been to any (or all!) of these Galician towns? Tell me your comments below!